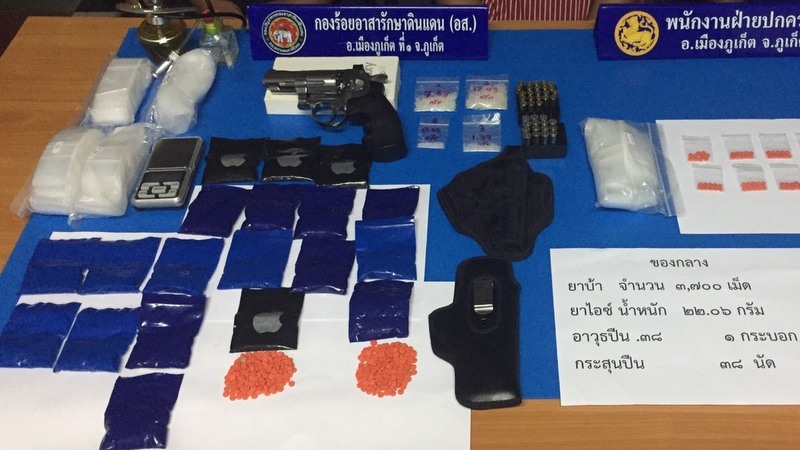 PHUKET: Three people were arrested in three drug busts carried out in just over an hour in Phuket Town over the weekend, leading to the seizure of 3,799 methamphetamine pills (ya bah) and 22.84 grams of crystal meth (ya ice) as well as a handgun and bullets. The arrests were all made on Saturday (Apr 6) in raids carried out by officers from the Phuket Centre for Drug Prevention and Suppression. Leading the team was Phuket City Municipality Chief Administrator (Palad) Danai Jaikeng, accompanied by Civil Defense Volunteers (OrSor) and other law-enforcement officers. 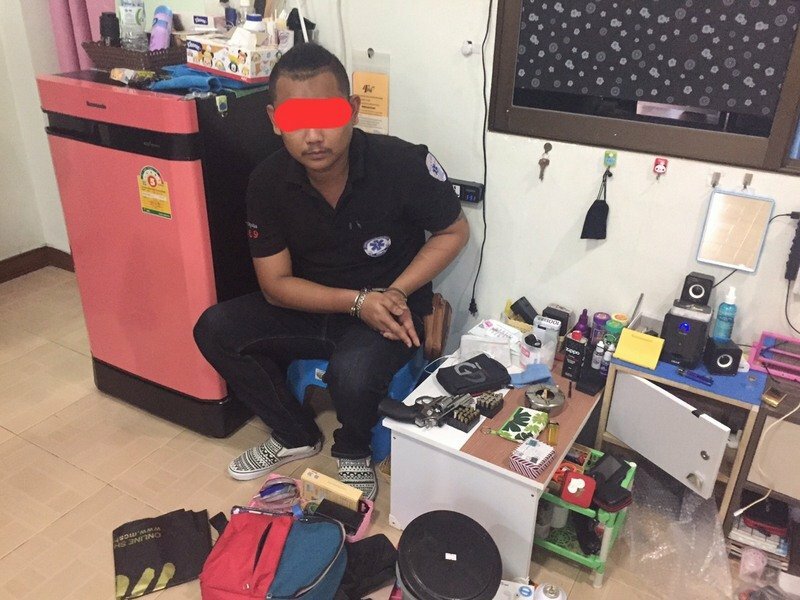 Acting on information from undercover sources, the team first arrested Pakorn Thongrod, 29, at a location in Soi Dechanarong, off Yaowarat Rd, at 5pm. At the scene officers seized with 3,700 meth pills, 22.06g of crystal meth and a handgun with 38 bullets. Officers also seized a digital weighing machine and two items of drug-using paraphernalia. Officers reported that Pakorn was a staffer at a hospital in Phuket and that he sold drugs that were delivered by post. The officers declined to reveal at which hospital Pakorn worked. 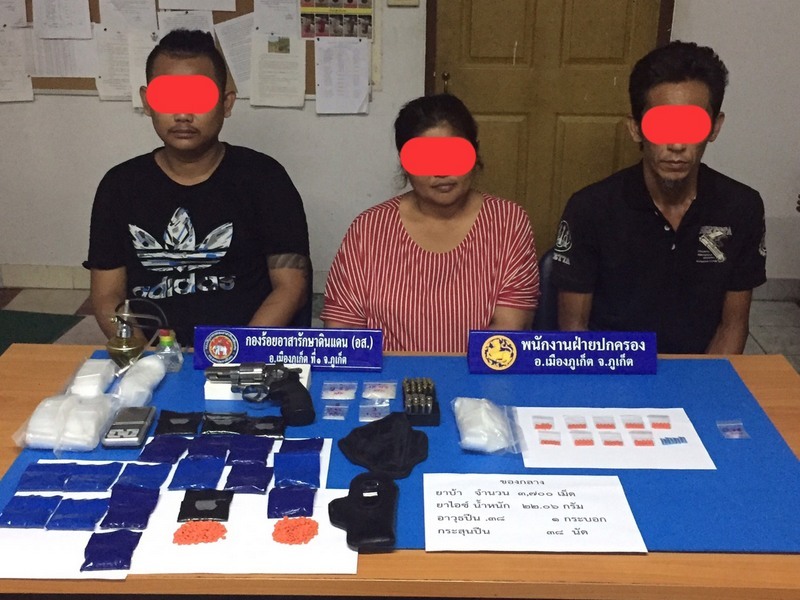 The other two arrests came at a location on Soi Rungrawee, also off Yaowarat Rd, where at 5:40pm officers took into custody Madiha Longsatien, 33, who was found with 99 meth pills. 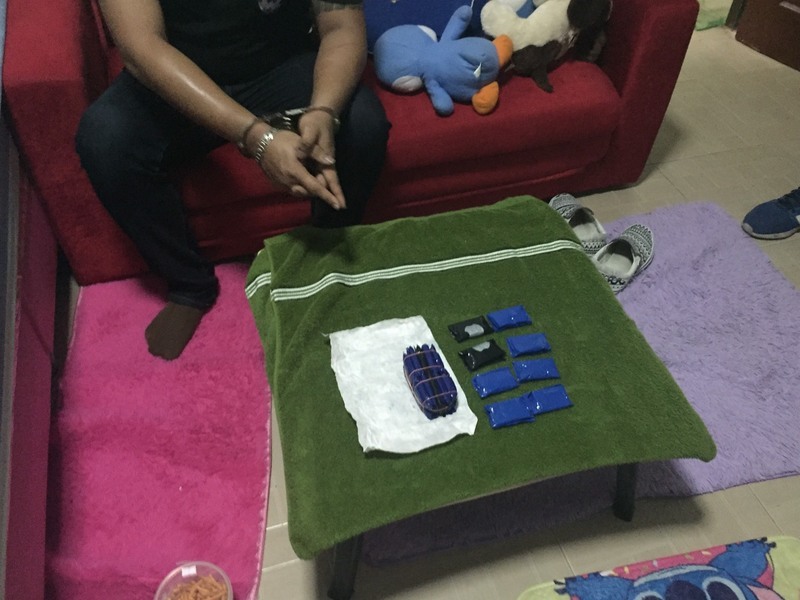 At 6:10pm, at the same location, offices arrested Samat Gosoompan, 44, who was found with 780mg of crystal meth. All three suspects are being held at Phuket City Police Station pending further investigation, the Phuket Centre for Drug Prevention and Suppression reported. All three have been charged with possession of a Category 1 drug with intent to sell, and all three have confessed to the charge against them, the centre also reported.